The computer has several easy-to-read status indicators. Indicates the computer's power status. Indicates the computer's battery status. 1. Charging The light shows amber when the battery is charging. 2. Fully charged The light shows blue when in AC mode. Turns the computer on and off. Indicates the computer's power status. Indicates when the hard disk drive is active. NOTE 1. Charging The light shows amber when the battery is charging. 2. Fully charged The light shows green when in AC mode. Use the up down keys to highlight the Set Supervisor Password parameter and press the Enter key. The Set Password box appears 2. Type the current password in the Enter Current Password field and press Enter. 3. 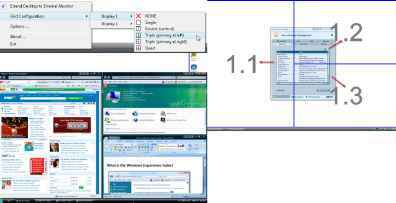 Press Enter twice without typing anything in the Enter New Password and Confirm New Password fields. The computer then sets the Supervisor Password parameter to Clear. 4. 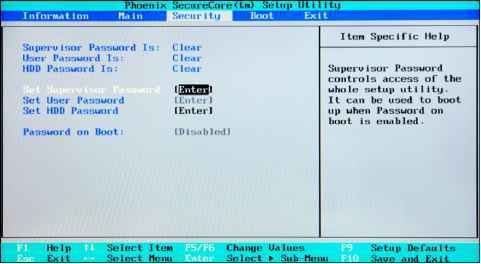 When you have changed the settings, press F10 to save the changes and exit the BIOS Setup Utility. See Removing the Battery Pack on page 40. 2. See Removing the Back Cover on page 42. 3. 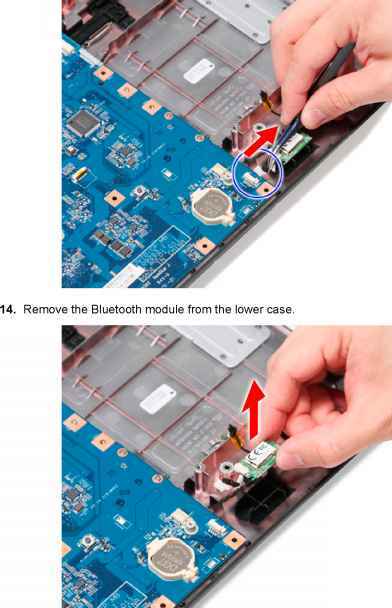 See Removing the Wireless LAN Card on page 44. 4. See Removing the Middle Cover on page 53. 5. See Removing the Keyboard on page 53. 6. 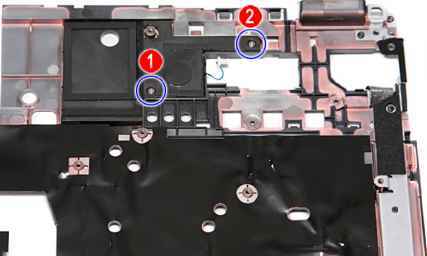 See Removing the LCD Module on page 55. 7. 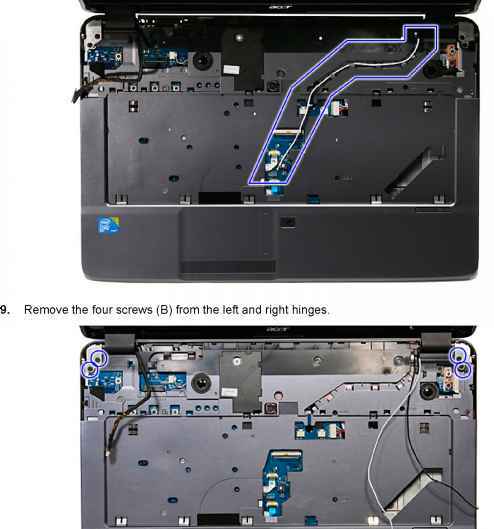 See Removing the LCD Bezel on page 80. 8. 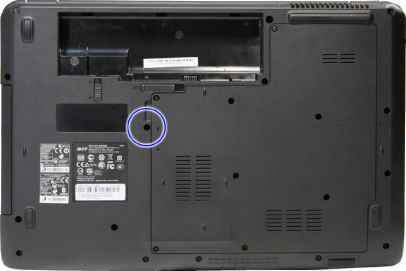 See Removing the LCD panel with the Brackets on page 81. 9. Remove the six screws G securing the left and right LCD brackets then remove the left and right brackets. Removing the Battery Pack on page 40. Removing the Back Cover on page 42. Removing the Wireless LAN Card on page 44 Removing the Middle Cover on page 53. Removing the Keyboard on page 53. Removing the LCD Module on page 55. Removing the LCD Bezel on page 80. 8. 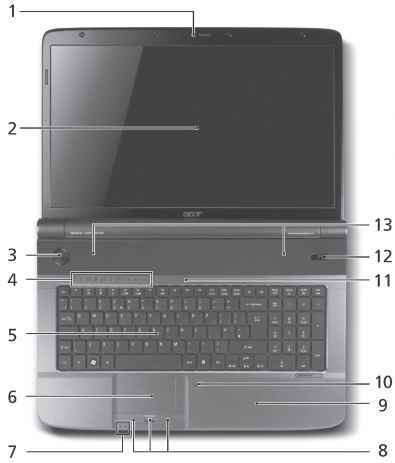 Remove the four screws E on the left and right hinges as shown. 9. Detach the webcam cable from the webcam module. Hard Disk Drive Module on page 43 12. Disconnect the left speaker cable from SPKR_L1 on the main board. 14. 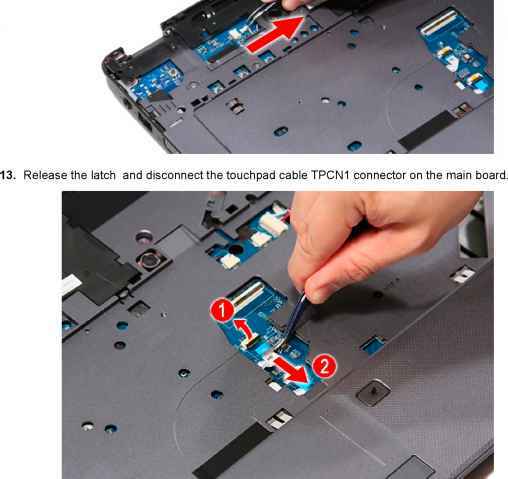 Release the latch and disconnect the touchpad button cable from FPCN1 connector on the main board. 15. Remove the fifteen screws 12 x A, 2 x C, 1 x D from the bottom panel. 16. Remove the six screws 4 x A, 2 xF securing the the upper case to the system. See Removing the Battery Pack on page 40. 2. See Removing the Back Cover on page 42. 3. 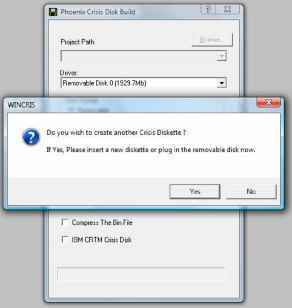 See Removing the Wireless LAN Card on page 44. 4. See Removing the Middle Cover on page 53. 5. See Removing the Keyboard on page 53. 6. 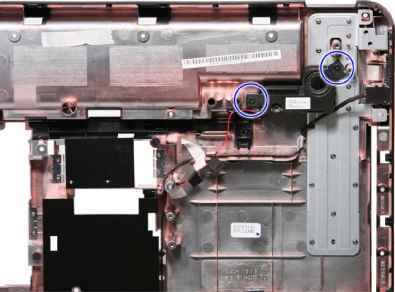 See Removing the LCD Module on page 55. 7. 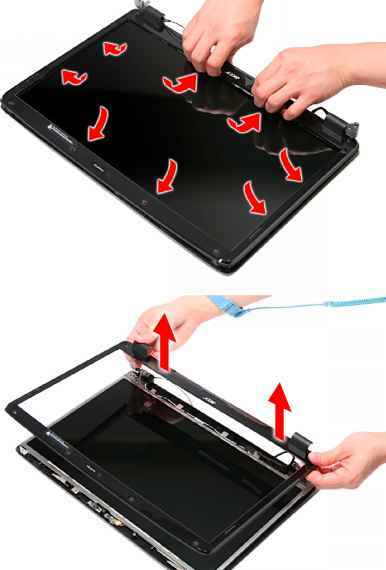 Remove the six rubber screw covers at the top and bottom of the LCD bezel. 8. 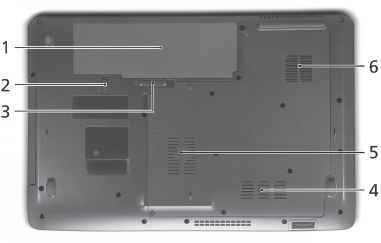 Remove the six screws E at the top and bottom of the LCD bezel. 9. 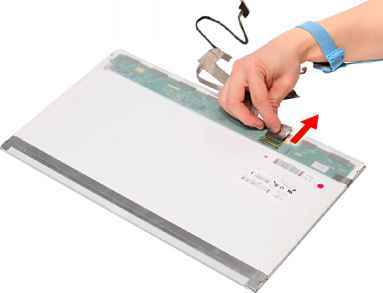 Carefully pry open the LCD bezel and remove it from the LCD panel. 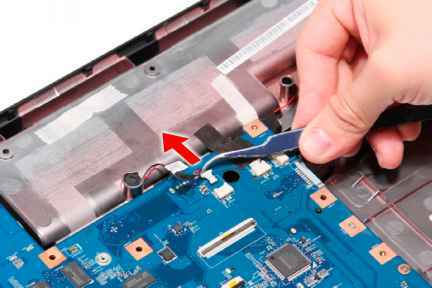 See Removing the Battery Pack on page 40. 2. See Removing the Back Cover on page 42. 3. 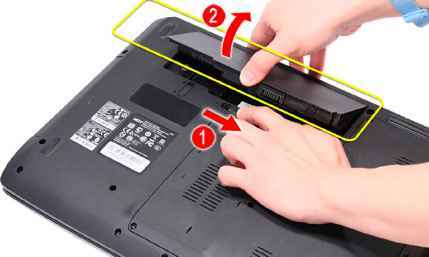 Remove the one screw C securing the hard disk drive module to the system. 4. 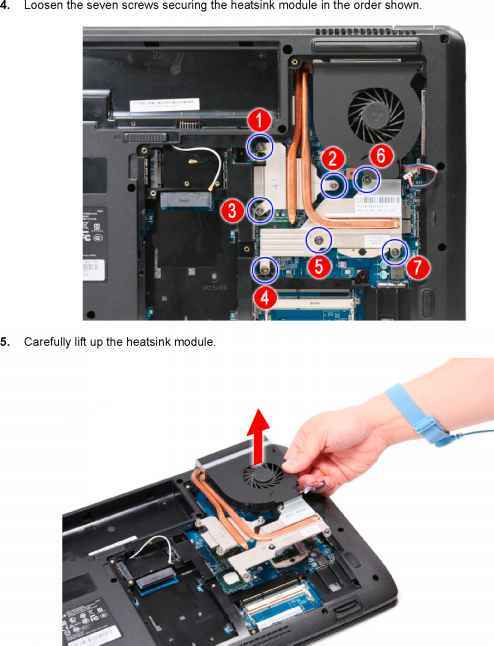 Lift the tab and slide the module away from the connector and remove it from the hard disk drive bay. NOTE To prevent damage to device, avoid pressing down on it or placing heavy objects on top of it. 5. 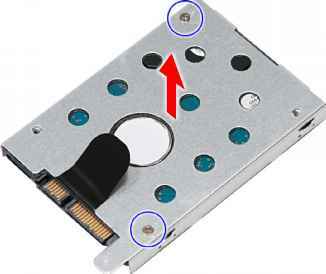 Remove the two screws H securing the hard disk to the bracket and remove the hard disk from the bracket. NOTE There are two version of heatsink module. For this section, we are going to use the Discrete model. The UMA version looks like the picture below 1. See Removing the Battery Pack on page 40. 2. See Removing the Back Cover on page 42. 3. Disconnect the heatsink connector from its connector on the main board. Slide the battery lock unlock latch to the unlock position. 3. Slide the battery release latch to the release position 1 to pop out the battery pack, then remove the battery pack from the main unit 2 . Note Battery has been highlighted with the yellow circle as above image shows. Please detach the battery and follow local regulations for disposal. See Removing the Battery Pack on page 40. 2. Remove the one screw A securing the optical drive module to the system. 3. Slowly pull out the ODD module from the ODD drive bay. 3. Slowly pull out the ODD module from the ODD drive bay. 4. Remove the one screw G securing the locker bracket and remove the locker bracket from the optical disk drive module.